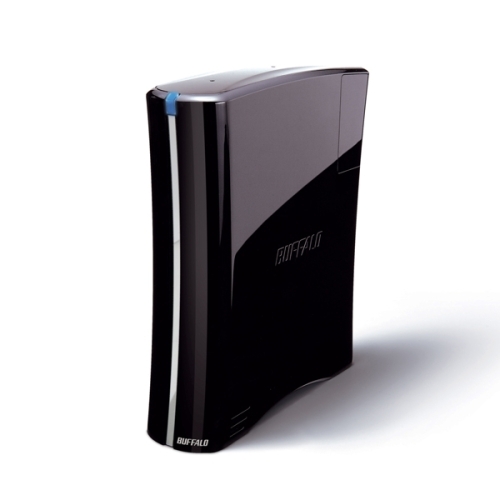 Buffalo Technologies is a Japanese based company that mostly produces computer peripherals such as external hard drives, network storage devices, USB Flash Drives, Wi-Fi USB connectors for the Nintendo Wii and also Buffalo AirStation (wireless LAN peripherals). The Buffalo DriveStation HD-HXU3 external drives are not really for regular home users, for one thing they are available in three storage sizes: 1 TB, 1.5 TB and 2 TB. The Buffalo DriveStation HD-HXU3 does not in our opinion cater to the kind of space the regular user needs these days. We’ve all of course heard a lot about Superspeed USB 3.0 and its extremely fast data rates (theoretically up to 4.8 Gbps although more pragmatic estimates suggest 400 MB/s as a more accurate transfer rate) and of course its hassle removing ability to do away with the need for external power for most devices. The Buffalo DriveStation HD-HXU3 external drive is capable (according to Buffalo) of delivering transfer rates of up to 625 MB/s which we do not doubt although the loss of speed generated due to data being transferred through a PCIe card or even ExpressCard will of course reduce those rates. 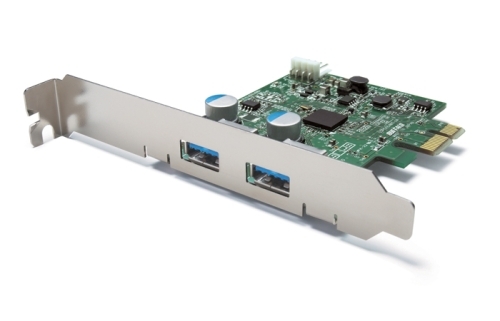 Speaking of which, Buffalo has also launched their own USB 3.0 PCI Express Interface Card IFC-PCIE2U3 to allow users without USB 3.0 compatible motherboards to use this and any other Superspeed USB 3.0 device. The 1 TB model of the Buffalo DriveStation HD-HXU3 Superspeed USB 3.0 external hard drive code HD-HX1.0TU3 is priced at $199.99, the 1.5 TB HD-HX1.5TU3 model at $249.99 and the 2 TB HD-HX2.0TU3 model at $399.99. All in all we feel that the Buffalo DriveStation HD-HXU3 and the Buffalo IFC-PCIE2U3 are both devices will be well out of range of normal home users and only people with needs matched by the depth of their pockets will be able to purchase these devices. At least until 2011 when AMD and Intel are both scheduled to start introducing motherboards with chipsets supporting USB 3.0 out of the box which will at least cut some of the costs. HP Touchpad coming this June?